HER PRESENTATION IN THE TEMPLE. The three years’ time decreed by the Lord having been completed, Joachim and Anne set out from Nazareth, accompanied by a few kindred and bringing with them the true living Ark of the covenant, the most holy Mary, borne on the arms of her mother in order to be deposited in the holy temple of Jerusalem. The beautiful Child, by her fervent and loving aspirations, hastened after the ointments of her Beloved, seeking in the temple Him, whom She bore in her heart. This humble procession was scarcely noticed by earthly creatures, but it was invisibly accompanied by the angelic spirits, who, in order to celebrate this event, had hastened from heaven in greater numbers than ordinary as her bodyguard, and were singing in heavenly strains the glory and praise of the Most High. The Princess of heaven heard and saw them as She hastened her beautiful steps along in the sight of the highest and the true Solomon. Thus they pursued their journey from Nazareth to the holy city of Jerusalem, and also the parents of the holy child Mary felt in their hearts great joy and consolation of spirit. They arrived at the holy temple, and the blessed Anne on entering took her Daughter and Mistress by the hand, accompanied and assisted by saint Joachim. All three offered a devout and fervent prayer to the Lord; the parents offering to God their Daughter, and the most holy Child, in profound humility, adoration and worship, offering up Herself. She alone perceived that the Most High received and accepted Her, and, amid divine splendor which filled the temple, She heard a voice saying to Her: "Come, my Beloved, my Spouse, come to my temple, where I wish to hear thy voice of praise and worship." Having offered their prayers, they rose and betook themselves to the priest. The parents consigned their Child into his hands and he gave them his blessing. Together they conducted Her to the portion of the temple buildings, where many young girls lived to be brought up in retirement and in virtuous habits, until old enough to assume the state of matrimony. It was a place of retirement especially selected for the first-born daughters of the royal tribe of Juda and the sacerdotal tribe of Levi. Fifteen stairs led up to the entrance of these apartments. 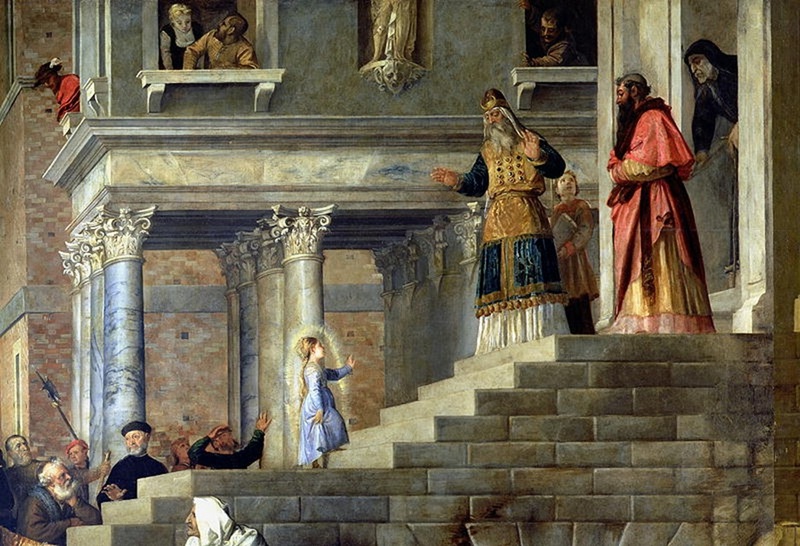 Other priests came down these stairs in order to welcome the blessed child Mary. The one that had received them, being according to the law one of a minor order, placed Her on the first step. Mary, with his permission, turned and kneeling down before Joachim and Anne, asked their blessing and kissed their hands, recommending herself to their prayers before God. The holy parents in tenderest tears gave Her their blessing; whereupon She ascended the fifteen stairs without any assistance. She hastened upward with incomparable fervor and joy, neither turning back, nor shedding tears, nor showing any childish regret at parting from her parents. To see Her, in so tender an age, so full of strange majesty and firmness of mind, excited the admiration of all those present. The priests received Her among the rest of the maidens, and saint Simeon consigned Her to the teachers, one of whom was the prophetess Anne. This holy matron had been prepared by the Lord by especial grace and enlightenment, so that She joyfully took charge of this Child of Joachim and Anne. 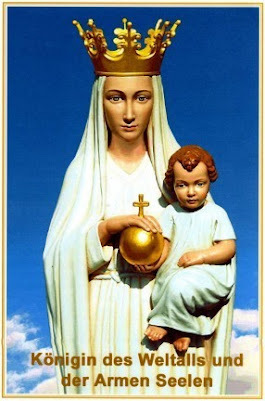 She considered the charge a special favor of divine Providence and merited by her holiness and virtue to have Her as a disciple, who was to be the Mother of God and Mistress of all the creatures. Sorrowfully her parents Joachim and Anne retraced their journey to Nazareth, now poor as deprived of the rich Treasure of their house. But the Most High consoled and comforted them in their affliction. The holy priest Simeon, although he did not at this time know of the mystery enshrined in the child Mary, obtained great light as to her sanctity and her special selection by the Lord; also the other priests looked upon Her with great reverence and esteem. 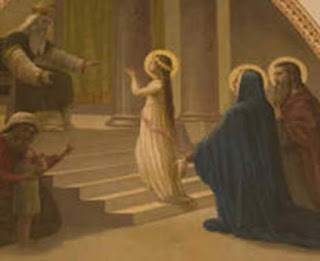 In ascending the fifteen stairs the Child brought to fulfillment, that, which Jacob saw happening in sleep; for here too were angels ascending and descending: the ones accompanying, the others meeting their Queen as She hastened up; whereas at the top God was waiting in order to welcome Her as his Daughter and Spouse. She also felt by the effects of the overflowing love, that this truly was the house of God and the portal of heaven. The child Mary, when brought to her teacher, knelt in profound humility before her and asked her blessing. She begged to be admitted among those under her direction, obedience and counsel, and asked her kind forbearance in the labor and trouble, which She would occasion. The prophetess Anne, her teacher, received Her with pleasure, and said to Her: "My Daughter, Thou shalt find in me a helpful mother and I will take care of Thee and of thy education with all possible solicitude." 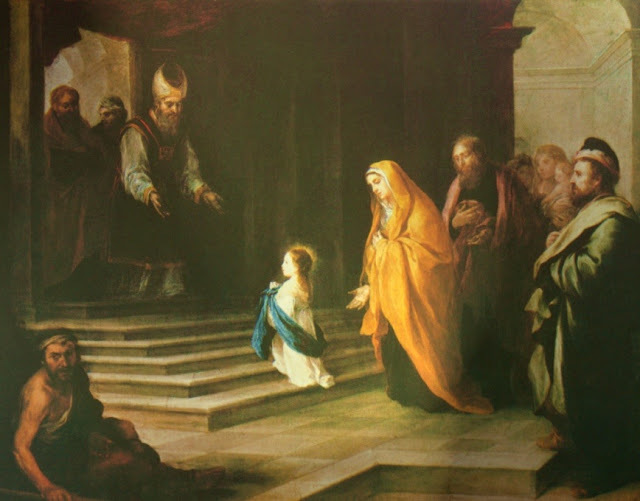 Then the holy Child proceeded to address Herself with the same humility to all the maidens which were then present; each one She greeted and embraced, offering Herself as their servant and requesting them, as older and more advanced than She in the duties of their position, to instruct and command Her. She also gave them thanks, that without her merit they admitted Her to their company. When the heavenly child Mary had dismissed her parents and entered upon her life in the temple, her teacher assigned to Her a place among the rest of the maidens, each of whom occupied a large alcove or little room. The Princess of heaven prostrated Herself on the pavement, and, remembering that it was holy ground and part of the temple, She kissed it. In humble adoration She gave thanks to the Lord for this new benefit, and She thanked even the earth for supporting Her and allowing Her to stand in this holy place; for She held Herself unworthy of treading and remaining upon it. Then She turned toward her holy angels and said to them: "Celestial princes, messengers of the Almighty, most faithful friends and companions, I beseech you with all the powers of my soul to remain with me in this holy temple of my Lord and as my vigilant sentinels, reminding me of all that I should do; instructing me and directing me as the teachers and guides of my actions, so that I may fulfill in all things the perfect will of the Most High, give pleasure to the holy priests and obey my teacher and my companions." And addressing in particular those whom I mentioned above as the twelve angels of the Apocalypse, She said: "And I beseech you, my ambassadors, if the Almighty permit you, go and console my holy parents in their affliction and solitude." While the twelve angels executed her command, Mary remained with the others in heavenly conversation. 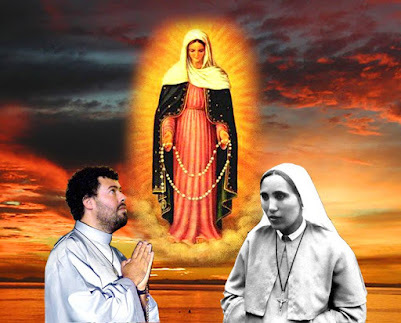 She began to feel a supernal influence of great power and sweetness, spiritualizing Her and elevating Her in burning ecstasy, and immediately the Most High commanded the seraphim to assist in illumining and preparing her most holy soul. Instantly She was filled with a divine light and force, which perfected and proportioned her faculties in accordance with the mysteries now to be manifested to Her. Thus prepared and accompanied by her holy angels and many others, in the midst of a refulgent host, the celestial Child was raised body and soul to the empyrean heaven, where She was received by the holy Trinity with befitting benevolence and pleasure. She prostrated Herself in the presence of the most mighty and high Lord, as She was wont to do in all her visions, and adored Him in profound reverence and humility. Then She was further transformed by new workings of divine light, so that She saw, intuitively and face to face, the Divinity itself. This was the second time that It manifested Itself to Her in this intuitive manner during the first three years of her life. By no human tongue or any sensible faculty could the effects of this vision and participation of the divine Essence ever be described. The Person of the Father spoke to the future Mother of his Son, and said: "My Dove, my beloved One, I desire thee to see the treasures of my immutable being and of my infinite perfections, and also to perceive the hidden gifts destined for the souls, whom I have chosen as heirs of my glory and who are rescued by the life-blood of the Lamb. Behold, my Daughter, how liberal I am toward my creatures, that know and love Me; how true in my words, how faithful in my promises, how powerful and admirable in my works. Take notice, my Spouse, how ineffably true it is, that he who follows Me does not walk in darkness. 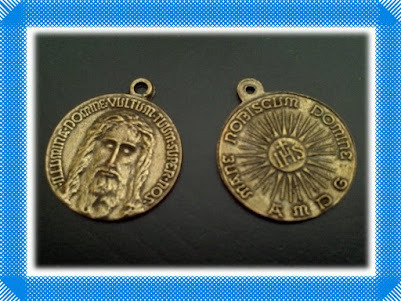 I desire that thou, as my chosen One, be an eye-witness of the treasures which I hold in reserve for raising up the humble, enriching the poor, exalting the downtrodden, and for rewarding all that the mortals shall do and suffer for my name." Other great mysteries were shown to the holy child in this vision of the Divinity, for as the object presented to the soul in such repeated intuitive visions is infinite, that which remains to be seen will always remain infinite and will excite greater and greater wonder and love in the one thus favored. 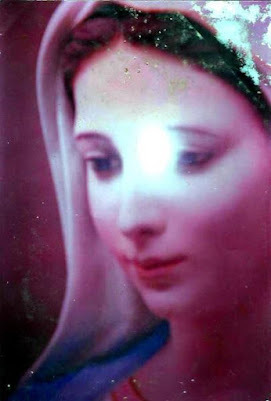 The most holy Mary answered the Lord and said: "Most high, supreme and eternal God, incomprehensible Thou art in thy magnificence, overflowing in thy riches, unspeakable in thy mysteries, most faithful in thy promises, true in thy words, most perfect in thy works, for Thou art the Lord, infinite and eternal in thy essence and perfections. But, most high Lord, what shall my littleness begin to do at the sight of thy magnificence? I acknowledge myself unworthy to look upon thy greatness, yet I am in great need of being regarded by it. In thy presence, Lord, all creation is as nothing. What shall I thy servant do, who am but dust? Fulfill in me all thy desire and thy pleasure; and if trouble and persecutions suffered by mortals in patience, if humility and meekness are so precious in thy eyes, do not consent, O my Beloved, that I be deprived of such a rich treasure and pledge of thy love. But as the rewards of these tribulations, give them to thy servants and friends, who deserve them better than I, for I have not yet labored in thy service and pleasure." The Most High was much pleased with the petition of the heavenly Child and He gave Her to understand that He would admit Her to suffering and labor for his love in the course of her life, without at the time revealing to Her the order and the manner in which He was to dispense them. The Princess of heaven gave thanks for this blessing and favor of being chosen to labor and suffer for the glory of God’s name. Burning with desire of securing such favor, She asked of his Majesty to be allowed to make four vows in his presence: of chastity, of poverty, of obedience, and of perpetual enclosure in the temple whither He had called Her. To this petition the Lord answered and said to Her: "My Spouse, my thoughts rise above all that is created, and thou, my chosen one, dost not yet know what is to happen to thee in the course of thy life, and thou dost not yet understand why it is impossible to fulfill thy fervent desires altogether in the manner in which thou now dost imagine. The vow of chastity I permit and I desire that thou make it; I wish that from this moment thou renounce earthly riches. It is also my will that as far as possible thou observe whatever pertains to the other vows, just as if thou hadst made them all. 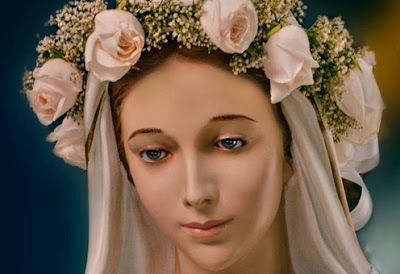 Thy desire shall be fulfilled through many other virgins in the coming law of grace; for, in order to imitate thee and to serve Me, they will make these same vows and live together in community and thou shalt be the Mother of many daughters." The most holy Child then, in the presence of the Lord, made the vow of chastity and as for the rest without binding Herself, She renounced all affection for terrestrial and created things. She moreover resolved to obey all creatures for the sake of God. In the fulfillment of these promises She was more punctual, fervent and faithful than any who have ever made these vows or ever will make them. Forthwith the clear and intuitive vision of the Divinity ceased, but She was not immediately restored to the earth. For, remaining in the empyrean heaven, She enjoyed another, an imaginary vision of the Lord in a lower state of ecstasy, so that in connection with it, She saw other mysteries. In this secondary and imaginary vision some of the seraphim closest to the Lord approached Her and by his command adorned and clothed Her in the following manner. First all her senses were illumined with an effulgent light, which filled them with grace and beauty. Then they robed Her in a mantle or tunic of most exquisite splendor, and girded Her with a cincture of vary-colored and transparent stones, of flashing brilliancy, which adorned Her beyond human comprehension. 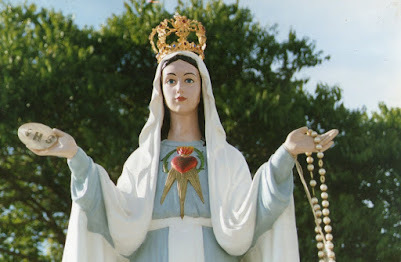 They signified the immaculate purity and the various heroic virtues of her soul. 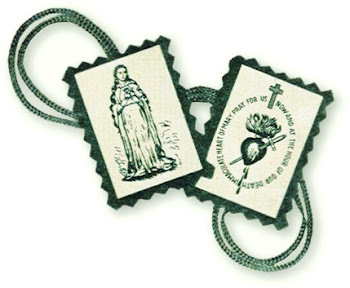 They placed on Her also a necklace or collar of inestimable and entrancing beauty, which contained three large stones, symbolic of the three great virtues of faith, hope and charity; this they hung around her neck letting it fall to her breast as if indicating the seat of these precious virtues. 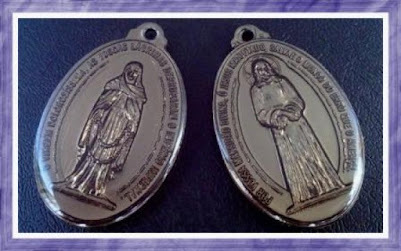 They also adorned her hands with seven rings of rare beauty whereby the Holy Ghost wished to proclaim that He had enriched Her with his holy gifts in a most eminent degree. In addition to all this the most holy Trinity crowned her head with an imperial diadem, made of inestimable material and set with most precious stones, constituting Her thereby as his Spouse and as the Empress of heaven. 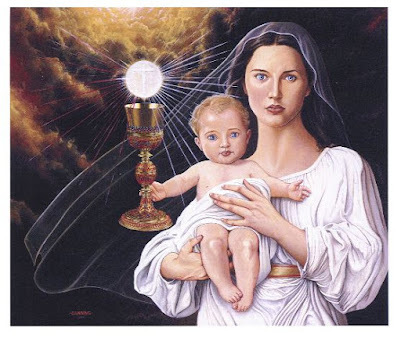 In testimony whereof the white and refulgent vestments were emblazoned with letters or figures of the finest and the most shining gold, proclaiming: Mary, Daughter of the eternal Father, Spouse of the Holy Ghost and Mother of the true Light. This last name or title the heavenly Mistress did not understand; but the angels understood it, who, lost in wonder and praise of the Author, were assisting at this new and strange ceremony. Finally the attention of all the angelic spirits was drawn toward the Most High and a voice proceeded from the throne of the blessed Trinity, which, addressing the most holy Mary, spoke to Her: "Thou shalt be our Spouse, our beloved and chosen One among all creatures for all eternity; the angels shall serve thee and all the nations and generations shall call thee blessed" (Luc. 1, 48). The sovereign Child being thus attired in the court dress of the Divinity, then celebrated a more glorious and marvelous espousal than ever could enter the mind of the highest cherubim and seraphim. For the Most High accepted Her as his sole and only Spouse and conferred upon Her the highest dignity which can befall a creature; He deposited within Her his own Divinity in the person of the Word and with it all the treasures of grace befitting such eminence. Meanwhile the most Humble among the humble was lost in the abyss of love and wonder which these benefits and favors caused in Her , and in the presence of the Lord She spoke: "Most high King and incomprehensible God, who art Thou and who am I , that thy condescension should look upon me who am dust, unworthy of such mercy? In Thee, my Lord, as in a clear mirror seeing thy immutable being, I behold and understand without error my lowliness and vileness, I admire thy immensity and deprecate my nothingness. At the sight of Thee I am annihilated and lost in astonishment, that the infinite Majesty should stoop to so lowly a worm, who can merit only oblivion and contempt of all the creatures. O Lord, my only Good, how art Thou magnified and exalted in this deed! What marvel dost Thou cause through me in thy angelic spirits, who understand thy infinite bounty, magnificence and mercy in raising up from the dust her who in it is poor, and placing her among the princes (Ps. 112, 7)! I accept Thee, O my King and my Lord, as my Spouse and I offer myself as thy slave. Let not my understanding attend to any other object, nor my memory hold any other image, nor my will seek other object or pleasure than Thee, my highest Good, my true and only Love. Let not my eyes look upon human creature, nor my faculties and senses attend upon anything beside Thee and whatever thy Majesty shall direct. Thou alone for thy spouse, my Beloved, and she for Thee only, who art the immutable and eternal Good." The Most High received with ineffable pleasure this consent of the sovereign Princess to enter into the new espousal with her most holy soul. As upon his True Spouse and as Mistress of all creation, He now lavished upon Her all the treasures of his grace and power, instructing Her to ask for whatever She desired and assuring Her that nothing would ever be denied Her. The most humble Dove at once proceeded to beseech the Lord with the most burning charity, to send His Onlybegotten to the world as a remedy for mortals; that all men be called to the true knowledge of his Divinity; that her natural parents, Joachim and Anne, receive an increase of the loving gifts of his right hand; that the poor and afflicted be consoled and comforted in their troubles; and that in Herself be fulfilled the pleasure of the divine will. These were some of the more express petitions addressed by the new Spouse on this occasion to the blessed Trinity. And all the angelic host sang new songs of admiration in praise of the Most High, while those appointed by his Majesty, midst heavenly music, bore back the holy Child from the empyrean heaven to the place in the temple, from which they had brought Her. In order to commence at once to put in practice what She had promised in the presence of the Lord, She betook Herself to her instructress and offered all that her mother, saint Anne, had left for her comfort and sustenance, with the exception of a few books and clothes. She requested Her to give it to the poor or use it for any other purpose according to her pleasure, and that She command and direct Her what She was to do. The discreet matron, (who was, as I have already said, the prophetess Anne) by divine impulse accepted and approved of the offering of the beautiful Child and dismissed Her entirely poor and stripped of everything except the garments which She wore. She resolved to take care of Her in a special manner as one destitute and poor; for the other maidens each possessed their spending money and a certain sum assigned and destined for their wearing apparel and for other necessities according to their inclinations. The holy matron, having first consulted the high priest, also gave to the sweetest Child a rule of life. By thus despoiling and resigning Herself the Queen and Mistress of creation obtained a complete freedom and detachment from all creatures and from her own Self, neither possessing nor desiring anything except only the most ardent love of God and her own abasement and humiliation. My daughter, among the great and ineffable favors of the Omnipotent in the course of my life, was the one which thou has just learned and described; for by this clear vision of the Divinity and of the incomprehensible essence I acquired knowledge of the most hidden sacraments and mysteries, and in this adornment and espousal I received incomparable blessings and felt the sweetest workings of the Divinity in my spirit. My desire to take the four vows of poverty, obedience, chastity and enclosure pleased the Lord very much, and I merited thereby that the Godfearing in the Church and in the law of grace are drawn to live under these vows, as is the custom in the present time. This was the beginning of that which you religious practice now, fulfilling the words of David in the forty-fourth psalm: "After Her shall virgins be brought to the King;" for the Lord ordained that my aspirations be the foundation of religious life and of the evangelical law. I fulfilled entirely and perfectly all that I proposed to the Lord, as far as was possible in my state of life; never did I look upon the face of a man, not even on that of my husband Joseph, nor on that of the angels, when they appeared to me in human form, though I saw and knew them all in God. Never did I incline toward any creature, rational or irrational, nor toward any human operation or tendency. But in all things I was governed by the Most High, either directly by Himself or indirectly through the obedience, to which I freely subjected myself. Be careful therefore, my daughter, and fear so dreadful a danger; by divine assistance of grace raise thyself above thyself, never permitting thy will to consent to any disorderly affection or movement. I wish thee to consume thyself in dying to thy passions and in becoming entirely spiritualized, so that having extinguished within thee all that is of earth, thou mayest come to lead an angelic life and conversation. In order to deserve the name of spouse of Christ, thou must pass beyond the limits and the sphere of a human being and ascend to another state and divine existence. Although thou art earth, thou must be a blessed earth, without the thorns of passion, one whose fruit is all for the Lord, its Master. If thou hast for thy Spouse that supreme and mighty Lord, who is the King of kings and the Lord of lords, consider it beneath thy dignity to turn thy eyes, and much more thy heart, toward such vile slaves, as are the human creatures, for even the angels love and respect thee for thy dignity as spouse of the Most High. If even among men it is held to be a daring and boundless insolence in a plebeian to cast longing eyes upon the spouse of a prince, what a crime would it be to cast them on the spouse of the heavenly and omnipotent King? And it would not be a smaller crime if she herself would receive and consent to such familiarity. Consider and assure thyself that the punishment reserved for this sin is inconceivably terrible and I do not show it to thee visibly, lest thou perish in thy weakness. I wish that for thee my instructions suffice to urge thee to the fulfillment of all I admonish and to imitate me as my disciple, as far as thy powers go. Be also solicitous in recalling this instruction to the mind of thy nuns and in seeing that they live up to it. My daughter, the greatest happiness, which can befall any soul in this mortal life, is that the Almighty call her to his house consecrated to his service. For by this benefit He rescues the soul from a dangerous slavery and relieves her of the vile servitude of the world, where, deprived of true liberty, she eats her bread in the sweat of her brow. Who is so dull and insipid as not to know the dangers of the worldly life, which is hampered by all the abominable and most wicked laws and customs introduced by the astuteness of the devil and the perversity of men? The better part is religious life and retirement; in it is found security, outside is a torment and a stormy sea, full of sorrow and unhappiness. Through the hardness of their heart and the total forgetfulness of themselves men do not know this truth and are not attracted by its blessings. But thou, O soul, be not deaf to the voice of the Most High, attend and correspond to it in thy actions: I wish to remind thee, that one of the greatest snares of the demon is to counteract the call of the Lord, whenever he seeks to attract and incline the soul to a life of perfection in his service. Even by itself, the public and sacred act of receiving the habit and entering religion, although it is not always performed with proper fervor and purity of intention, is enough to rouse the wrath and fury of the infernal dragon and his demons; for they know that this act tends not only to the glory of the Lord and the joy of the holy angels, but that religious life will bring the soul to holiness and perfection. It very often happens, that they who have received the habit with earthly and human motives, are afterwards visited by divine grace, which perfects them and sets all things aright. If this is possible even when the beginning was without a good intention, how much more powerful and efficacious will be the light and influence of grace and the discipline of religious life, when the soul enters under the influence of divine love and with a sincere and earnest desire of finding God, and of serving and loving Him? As Aparições de Jacareí "The Jacareí Apparitions"
" CORAÇÕES UNIDOS DAS APARIÇÕES DE JACAREÍ "
JACAREÍ: A CASA DA RAINHA E MENSAGEIRA DA PAZ. JACAREI"ONDE O CÉU TOCA A TERRA"
MEET THE SOCIAL NETWORK OF THE APPARITIONS SHRINE OF JACAREI. APPARITIONS PLUS! ONLINE STORE "PRESENTE DIVINO! 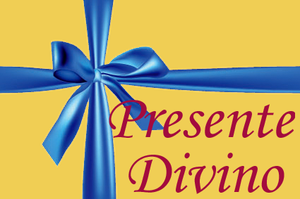 GIFT DIVINE, medals, scapulars, sacred images, rosary, cds, dvds, and much more! "-My child, my child! It is necessary to sanctify. The sanctity is a difficult way, but... it's end is real and glorious." His mission given by Our Lady is introduce to the world all of appearances of Her that were forgotten and pursued besides to publish Her Grace and Mercy given in Jacarei Appearances: The Holy Peace Medal, The Gray Escapulary, Peace's hour, Saint Joseph's hour, The Holy Spirit hour, 'Setena'´, ´Trezena', all of prayers taught in Jacarei appearances and mainly The meditated Rosary which has been recording by Marcos Tadeu and contains before each mystery a message by Our Lady given around the world. 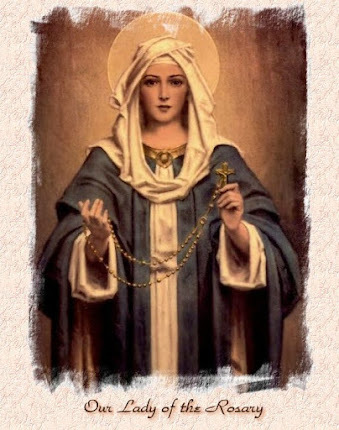 Our Lady says that anybody had never done a Rosary like this before and says ether this Rosary is what pleaser her Immaculate Heart. 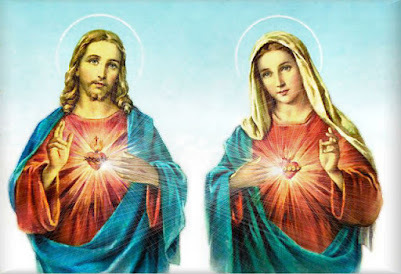 He has had daily apparitions since March 06, 1993, and Our Lady confided to him 12 secrets and She will reveal more one to complete the 13 secrets to humanity, but Marcos Tadeu can't reveal them with out Our Lady's permission. 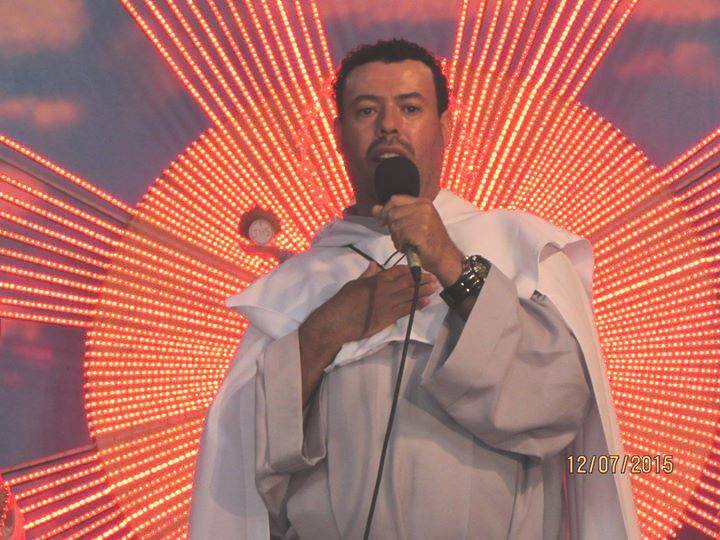 Since February 7th, 1991, in a city named Jacarei in São Paulo - Brazil, The Blessed Virgin Mary, Our Lord Jesus Christ, Saint Joseph, Lots of Saints and Angels have been appearing and giving messages to the world. The Blessed Virgin Mary introduces herself as the Queen and Messenger of the Peace and makes to the world the last appeal to the conversion, through a young man named Marcos Tadeu, who in the beginning of the Appearances was 13 years old. 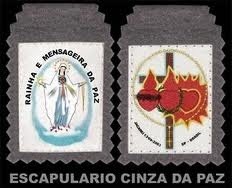 These are the final appearances of Brazil and Our Lady says that these are her final appearances on Earth.